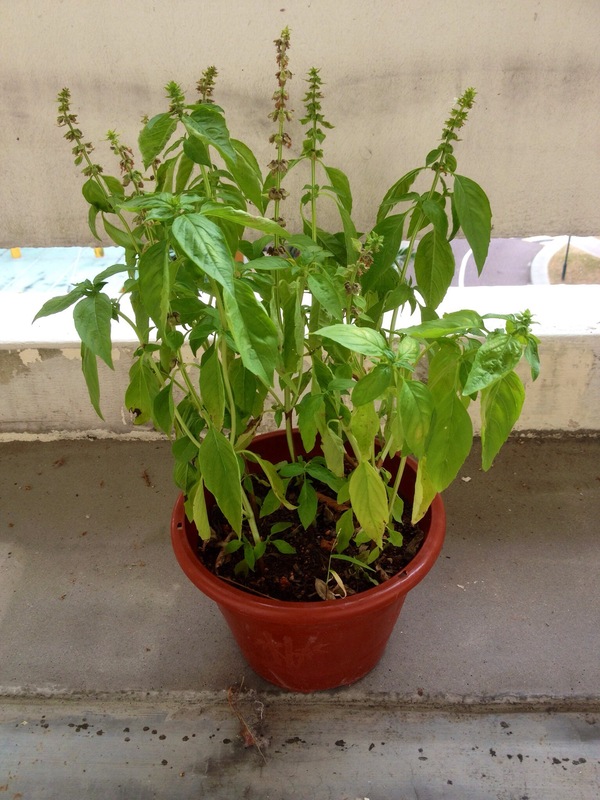 After I started growing a pot of sweet basil plant for about a couple of weeks, I noticed that whenever I haven’t watered the plant for more than a day, its leaves would start to droop slightly. But every time shortly after I watered the plant, its leaves would seemingly miraculously perk up and the whole plant would look sprightly again. “Although basil grows best outdoors, it can be grown indoors in a pot and, like most herbs, will do best on an equator-facing windowsill. It should be kept away from extremely cold drafts, and grows best in strong sunlight, therefore a greenhouse or row cover is ideal if available. They can, however, be grown even in a basement, under fluorescent lights. 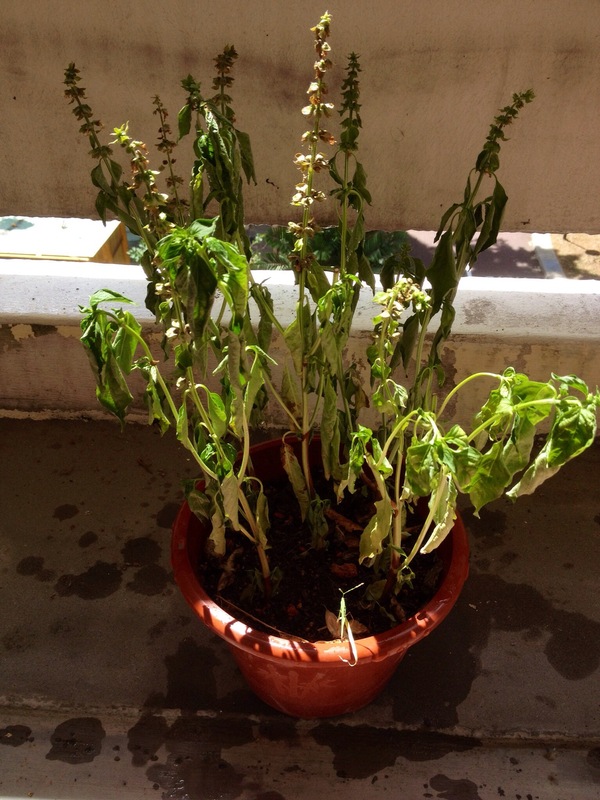 Earlier today, I decided to take a couple of photos of the basil plant to show how the plant revived itself about four hours after I watered it. I am happy to see your plant was revived. He looks pretty happy on the second picture.